1970-78 351 Windsor with driver side inlet. 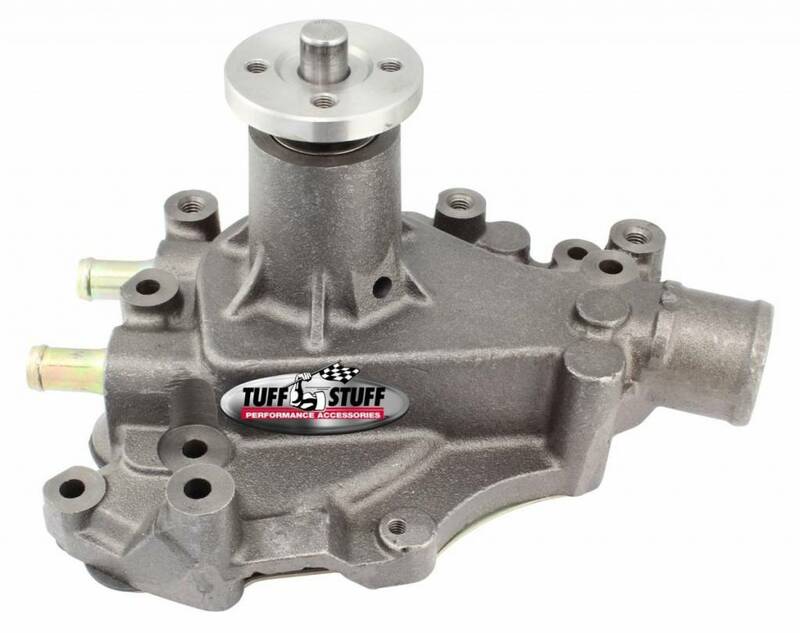 Tuff Stuff water pumps are hand made from premium quality new components - not remanufactured - and are quality built in Cleveland, Ohio. They feature precision-made ball/roller bearings and a spin-balanced fan hub to sustain higher RPM's. 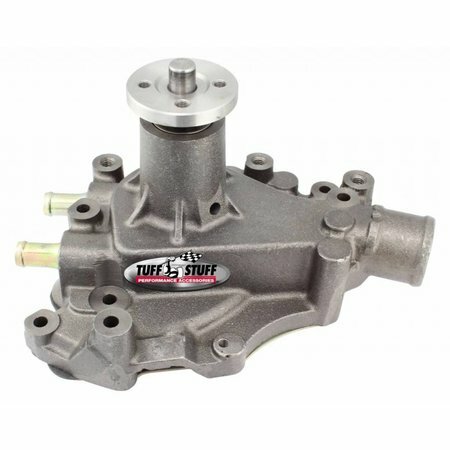 The custom water pump impeller that flows 30% more coolant to reduce water temperature by up to 20 degrees.